This report is an analysis of Albertans’ family incomes during the 1990s. 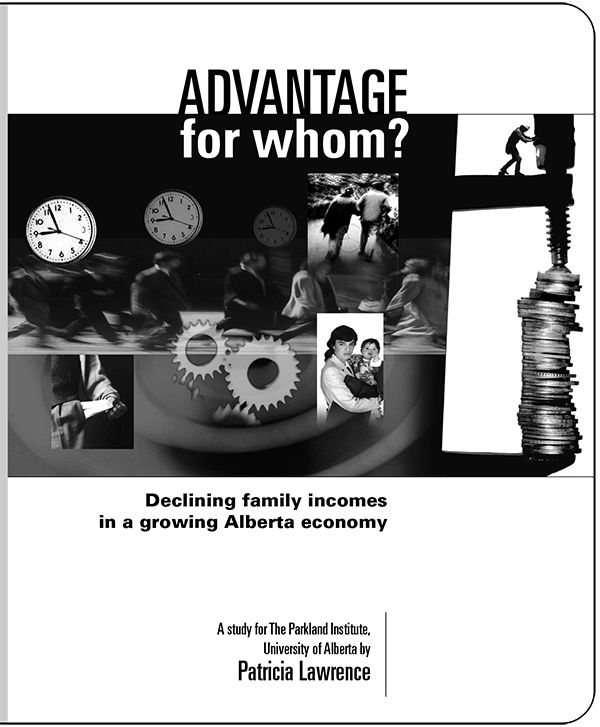 It compares the incomes of Alberta families at all income levels, examines the income gap between the richest and poorest of families, and discusses the escalating stress that Alberta families face as they attempt to maintain their standard of living in an increasingly competitive market place. In addition, Advantage for Whom? challenges certain assumptions behind Alberta’s current economic policy - does a growing GDP, low government spending, and a flatter tax structure really benefit Alberta families? If Alberta families are not benefiting from the Alberta Advantage, who is?